The global e-cigarette market is set to reach USD 44.55 billion by 2024, driven by the rising consumer demand for resource competent vaping products. The growth for e-cigarette market is prominently being driven by growing health awareness and environment-friendly usage. Need for the alternative product as a result of rising taxes on traditional cigarettes (tobacco rolled) and its products has been one of the factors driving the growth of the electronic cigarette industry. Emerging factors such as increasing awareness about harmful effects of traditional cigarettes, improving lifestyle, and growing e-commerce business are expected to upsurge the growth of the market for the forecast period. In addition, various mergers and acquisitions are also expected to fuel the market growth. For instance, in 2012, a merger took placed between tobacco giant Lorillard and U.S.-based e-cigarette company Blue Ecigs, which helped them to roll out their own brands by leveraging the technology possessed by Blu Ecigs. The e-cigarette vendors are introducing a variety of flavors which differs from menthol to the fusion of fruits and flavoring substances. These flavors are becoming a differentiator for vendors. The market for e-cigarettes in North America and Europe is projected to grow on account of increase in disposable incomes and smokers’ population in these regions. Asia Pacific market was valued at USD 946.2 million in 2016 and is expected to grow rapidly during the forecast period.  The growth of the market in Asia Pacific region is subjected to factors such as product availability and increasing awareness regarding the ill-effects associated with traditional (tobacco rolled) cigarettes in countries such as India, Malaysia, and China. The electronic cigarettes market has been segmented on the basis of products such as modular, rechargeable and disposable e-cigarettes. Among these, modular e-cigarettes are popular among consumers, followed by rechargeable and disposable. Modular e-cigarettes provide flexibility in flavors, besides improved inhaling experience which gives greater satisfaction to the user. Companies are focusing on diversifying their portfolio by offering flavors, aesthetic properties, and nonhazardous ingredients to end users. By acquiring Lorillard in 2014, Reynolds American has become largest vendor in the North American market. The acquisition created a competition to Altria, a well-established player in the market. The deal united some notable cigarette brands, such as American Spirit, Pall Mall, Newport, and Camel.